You are here: Home / Mommy Bloggin / Hey, parents! Let’s get political. To start this off – TRIGGER WARNING. I’m going to talk about sexual assault. And politics. Both things tend to tick people off equally, so consider yourself warned. Have you turned on the news lately? Or opened up your Facebook Newsfeed? Or maybe you saw something on Snapchat. Unless you have literally been living off the power grid this week, you have heard that we – as a country – get to drag two human beings and their families through the mud to decide if we get to have one of them as our new supreme court judge. It’s a pretty spectacular train wreck. Tuning in for even 5 minutes will probably make your blood boil. It did mine. Here’s a quick (very loose) overview of what’s going on – just in case you really are a cave dweller. There’s this guy who wants to be the next Supreme Court Judge. (That’s a lifelong commitment, PS) And there this lady who says that a long time ago – he sexually assaulted her when they were teenagers. The entire country is taking sides. Now I just want to say this before I get opinionated – I had no intention of getting involved. I didn’t want to talk about this at all. want to start throat punching the ignorant jerk who made this. You know what else is terrifying? When your daughter is sexually assaulted and no one believes her and her life is ruined. 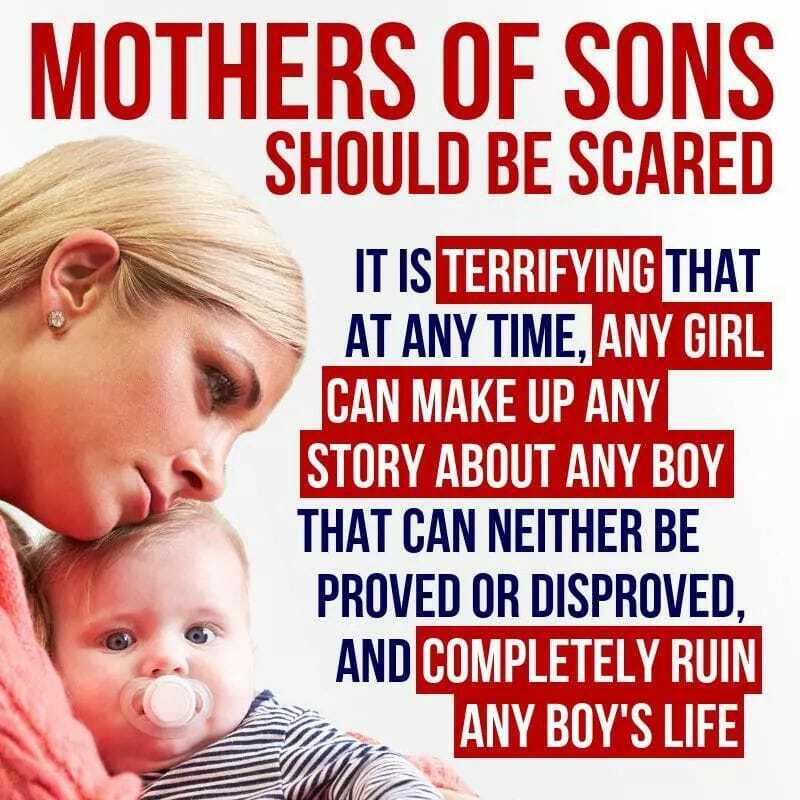 As a mom – and as someone who has been raped – I am worried for the future of both my daughter and my (soon to come) son. I don’t want them to see a world where we have a president and other elected officials who are constantly being accused of sexually assaulting women. I don’t want them to see those same elected officials and everyone we know telling a woman who claims she was sexually assaulted that she is a liar. None of this is okay. When a woman claims to be sexually assaulted, we need to take her seriously for the sake of both parties. Thorough investigations need to happen – on both sides – to prevent the reckless mudslinging against their character. No matter what. We can no longer sweep things under the proverbial rug. When a person is running to be an elected official – we should keep in mind that they will be the ones making decisions for our country. They will be on television, speaking to our families for at least 4 years – if not their entire lives. What do we want our children to hear on the nightly news? I want my children – both of them – to know that they are in charge of their bodies. That no means no. They deserve to be respected and they must respect others when they say NO. I want them both to know that if they hear anyone else saying no to someone, and that someone is not respecting them, that they need to feel they can stand up for them. Regardless of gender. So how about this – Let’s not waste our time being terrified for our children. Parents – teach your kids not to be jerks. Teach them to respect others. Teach them about consent at a young age so it’s ingrained. Show them morals and values with your own actions. Teach your children how to discern right from wrong. Teach them how to love others. Instead of calling people liars and spouting hatred – show kindness and grace. We can only change the world we live in by teaching our future leaders to do better than our current ones.